Zahabiya Nozzle Lining Compound NLC-01 is a fine aqueous dispersion of acrylic copolymers, synthetic / natural rubber latex, containing other essential resins and additives which on perfect drying (curing), provide an air-tight seam of the tin cans applied in. The product is used in the fabrication of tin containers, composite cans etc. having metallic (tin) top/bottom ends to provide gasket between the ends and the body to prevent any possible leakage/seepage of the contents.The cured film is Non-Toxic, Non-Poisonous & Non-Rusting to Tin Plate/TFS. NLC-01 is designed for round & oblong cans, applied through pressure actuated nozzle lining machine or shower head application system. The product comes in two grades: Economical NLC-011 and Special NLC-010, selected on the basis of the filling & closing type as well as the content that would be filled in such cans. Can Content: Regular Products, Edible Oils, Lube Oils, Water & Oil Based Paints, Greases, Non-Corrosive Products, Dry Products, General Usage Cans. 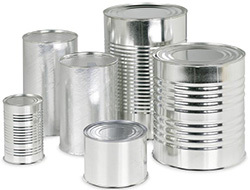 Can Closing: Retorting (With Steam), Pressurized Filling, Vacuum Packed Cans. Can Content: Special Food Products,Olives, Juices, Spicy Items,Milk, Jellies, Meat,Sea Food, Paints,Lacquers, Insecticides, Pesticides,Herbicides etc.